We provide complete optometric services for all your eye care needs. We are currently accepting new patients and offer emergency medical care, frames, metal frame soldering, adjustments, and nose pad replacements. 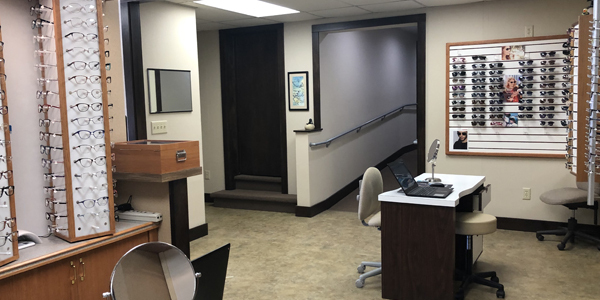 You will find our office is handicapped accessible for easy access. To keep your wait to a minimum, please call ahead to schedule a time for repairs and adjustments. We recommend this site for more information regarding eye wear. We accept cash personal checks, ATM, Mastercard, Visa, Discover, and Care Credit. To apply for Care Credit, please follow this link. We participate with VSP, Medicare, BCBS, Operating Engineers, HAN, ASR, MEBS, Set SEG, City of Big Rapids, Vision Care Direct (VCD), Michigan Conference of Teamsters Welfare fund, Many EyeMed Plans, and other insurance companies.